I'm looking into buying a commuter bike. Observing other bikers I see some are hunched over their bikes and some are almost vertical. What is considered the best position for commuting? Also a dumb question what attributes of the bike contribute to the rider's position? Is it just the ratio of the height of the seat to that of the handlebars? I'm speaking very generally here, but sitting straight up can be comfortable for quite short periods. Probably the most upright are sit-up-and-beg bikes, and if you go over to Holland you'll see 70- and 80-year-olds riding them. The downside is that they're not the fastest bikes around. At the other end of the scale, take a look at professional road racers. These guys are as close as possible flat down to the bike. Efficient, but mightily uncomfortable. The reality for the rest of us is that something in between is the most comfortable, but our geometries all tend to be different so different styles suit different people. I've ridden in London and I assume NYC is similar - be prepared to get a couple of decent locks, and make sure the bike you get will be able to carry them around somehow. Mountain bike style bars. A more upright position. Comfortable and agile but not very aerodynamic. The single position is fatiguing on long rides. Road style bars. A variety of positions to spread fatigue and deal with head winds. The distance between the seat and the bars and the height of the bars affects riding position. The factors there are top tube length, seat position, and bar position. I prefer drop bars for commuting (anything on the street). For commuting you don't want an extreme inclined position. Like a touring or cyclocross bike. My favorite commuter and riding position is my Salsa Vaya. They added a new hand position with a nub on the hoods. 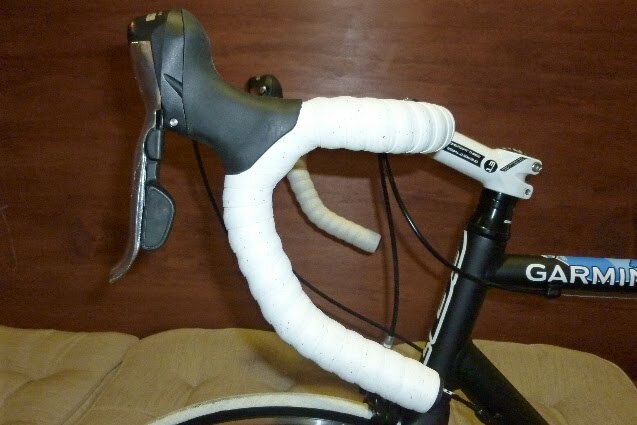 You can change handle bar position by moving the spacers, flipping stem up or down, or changing out the stem. And you can rotate the handle bars. Go to a good bike shop that is willing to take the time to help you select a bike and fit (adjust) the bike for you. And don't be afraid to tweak the set up yourself as you get more time on the bike. And air the tires at least once a week. It depends on the bike. If you're commuting on a race bike, you'll be more hunched over than if you were commuting on a cruiser. A lot of people use road bikes in NYC, which force you to be more hunched over than on something like a citibike. The parts of the bike which contribute to the hunched over ness is primarily the top tube length (the top bar on a standard diamond frame), the stem reach, the handlebars, saddle height and saddle position. The best position is something that works for you - you can do your commute comfortably and arrive in reasonable shape (not drenched in sweat for example). As a former NYC'er, old road bikes are relatively cheap to get in the area but I'd feel more alert on a flat bar hybrid (provided I could take it into my office, since the likelihood of something getting stolen in NYC is pretty high). Rack mounts are generally useful, and since NYC gets rain, fenders are too. TL;DR - Your riding effort level will determine which position is more comfortable. What is important is that our positions match our power outputs. A cyclist’s upper body acts as a counterweight to the forces of pedaling. The harder we pedal, the more inclined our upper bodies should be. Most people are looking to ride their commuter bikes more relaxed and thus an upright position is more comfortable. However, not everyone likes to commute the same way. Some like to ride fast (relative to one's own fitness) while commuting, and thus might prefer a less upright position to counterweight the force of harder pedaling efforts. If you are like most people, commuting implies getting to work on time and in the back of your mind is a comparison of total commute time and expense with the alternative of auto or mass transit. Consequently, bike commuters tend to be "head down, balls out" riders who aren't interested in messing around and just want to get where they are headed in the morning. In the evening, they look forward to the ride home and it often becomes a time trial with a shower and a beer waiting at the other end. I commuted about 14 miles each way for 30 years between Davis and Sacramento and I would never attempt to do it on a bicycle with an upright riding position. Most of the riding is on open two-lane country road. Also, headed west in the afternoon during warmer months it is common to get 20mph headwinds! Those headwinds will make a grown man cry for his mommy. Under those conditions a traditional road bike with drop bars (to lower your wind profile) and close fitting clothing to reduce wind drag and a triple chain wheel in front is all highly desirable. Spend as much as you can afford. After all, you're not driving or paying for the bus or train. At the same time, I frequently ride across town, about five miles each way for a doctor or dentist appointment on my 1980's converted TREK touring frame with one-speed, upright bars, a fairly wide Brooks B-67s saddle with built in frame lock, front basket, rear rack and folding baskets, 700x25 tires...my lightweight Dutch style bike, wind or no wind. Why? Because it's fun. One tends to be less goal-oriented and more engaged with the scenery riding in an upright position. Riding time is increased about 10% but the tradeoff of having to start a little earlier is worth it to me. I have ridden this bike with the aforementioned headwinds and it took longer. So what? If your objectives are to minimize your biking commute time, get the road bike with drop bars with lots of gears for hills or headwinds and the best lightweight components. If you're willing or able to sacrifice 10% more time to live in the moment a little more, go with the lightweight Dutch bike concept. Or, better yet, employ the fleet system of bikes like I do so you can switch depending on how you feel that day. Not the answer you're looking for? Browse other questions tagged commuter ergonomics riding-position or ask your own question. Why don't brakes come with 'Safety Levers' any more? Getting the right cockpit position. Sliding forward. What should I adjust to keep my sit bones on the seat? Pain in right leg, related to asymmetric leg position?